The name “BFG” came from the company’s founders: Louis Boccardo, Dominique Favario, and Thierry Grange. 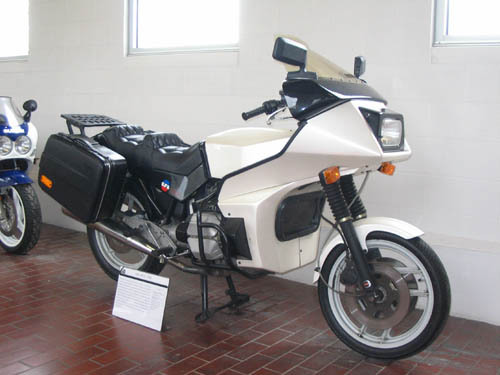 The initial design work was done in 1978 in response to a call for entries to design a motor bike around an automobile engine. 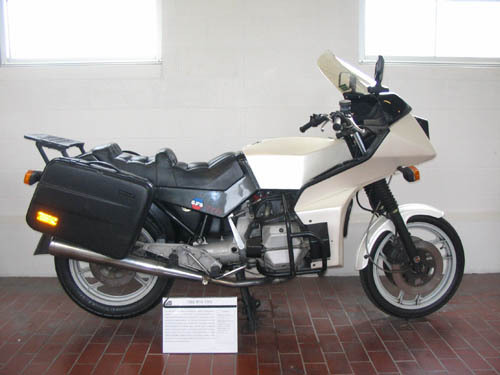 The first bike was completed in 1981 and production began in 1982. The majority of the bikes produced were purchased by the French police. The BFG used a Citroën GS engine of 1299cc displacement, four cylinder horizontally opposed, and air-cooled. It put out 70 bhp at 5500 rpm and produced 100 nm torque at 3250 rpm. The ignition is fully electronic; the same as used in the GS cars. The instrument panel is from a Renault 5 Alpine and the headlight is from a Renault 16.